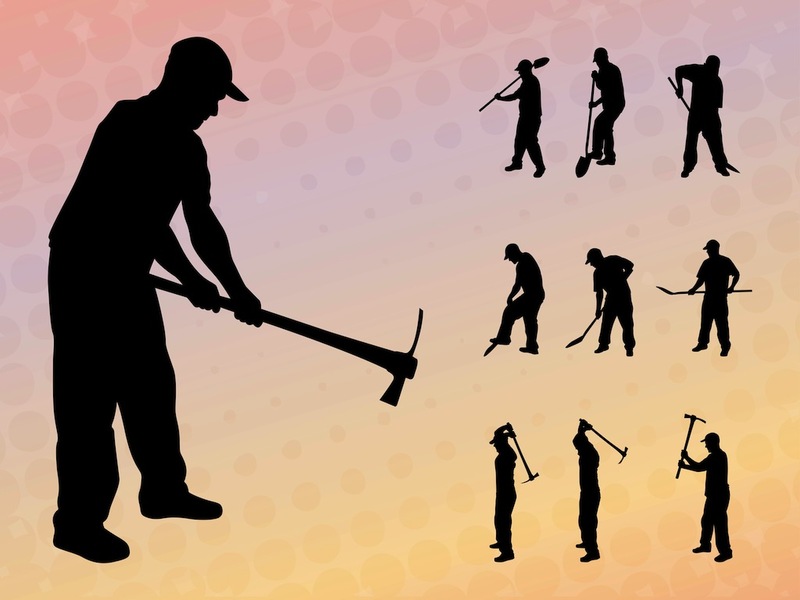 Working man vector graphics of a digging person. Different positions and tools on the silhouettes. Man wearing a baseball hat and casual work clothes. Different steps and ways of digging the ground shown in this vector. Free image for all manual work, construction, gardening, digging a hole or grave design projects. Tags: Dig, Men, Shovel, Silhouettes, Tools, Work.